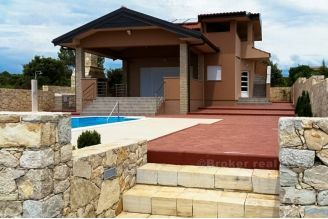 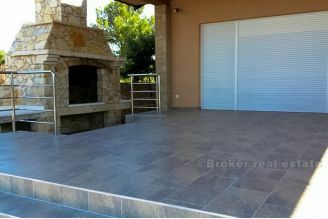 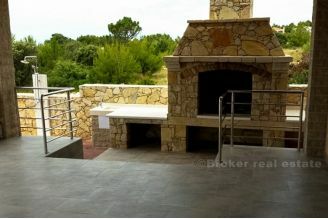 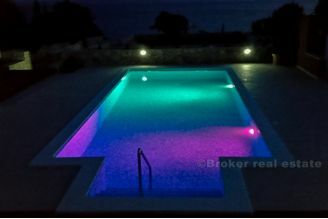 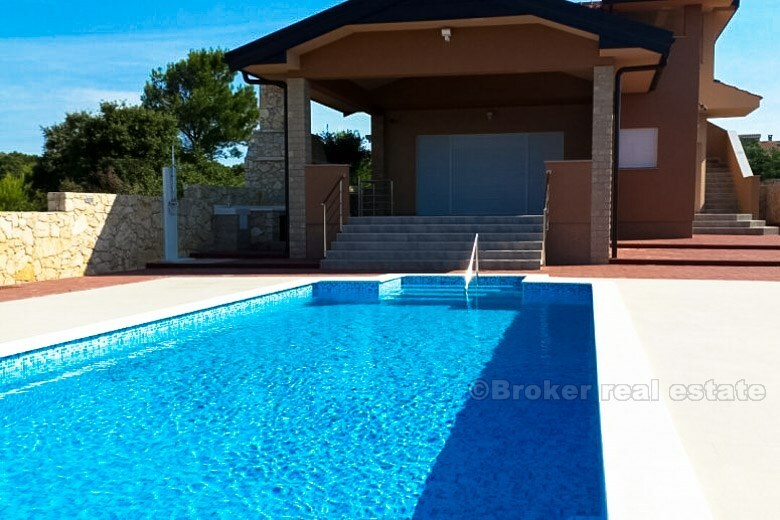 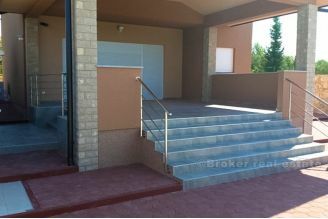 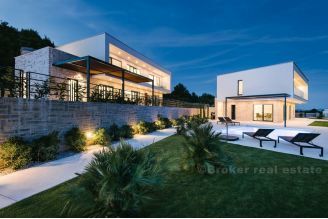 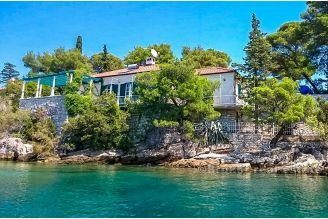 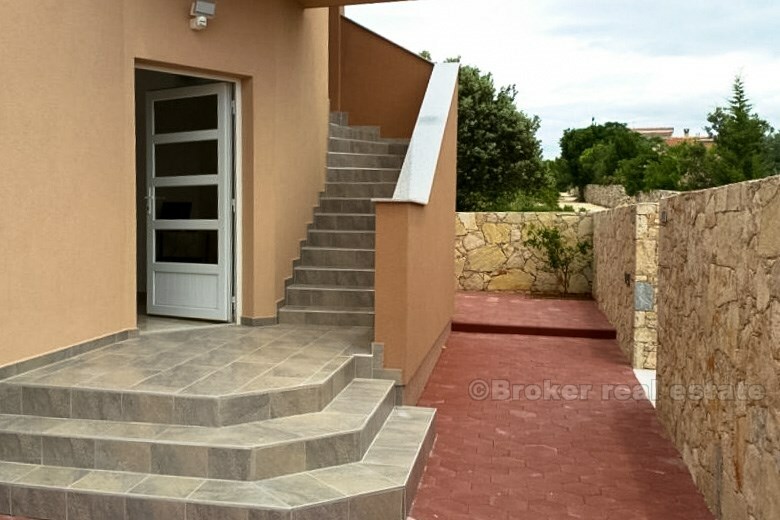 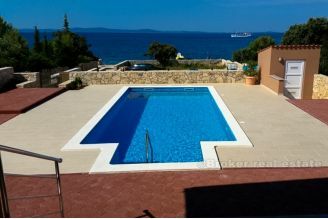 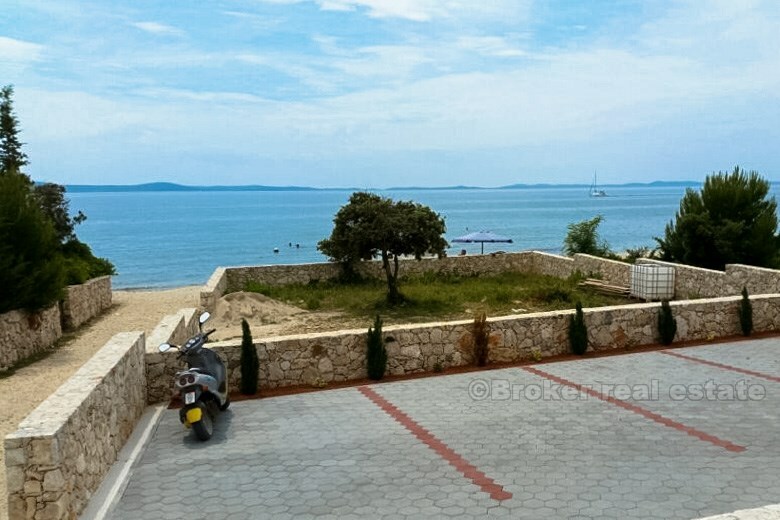 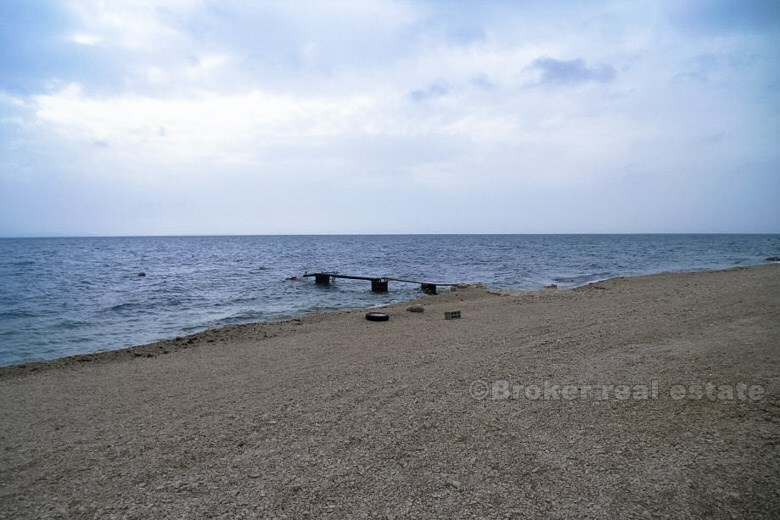 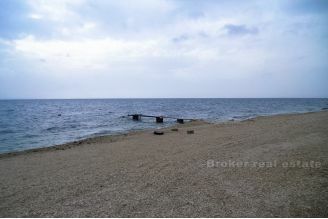 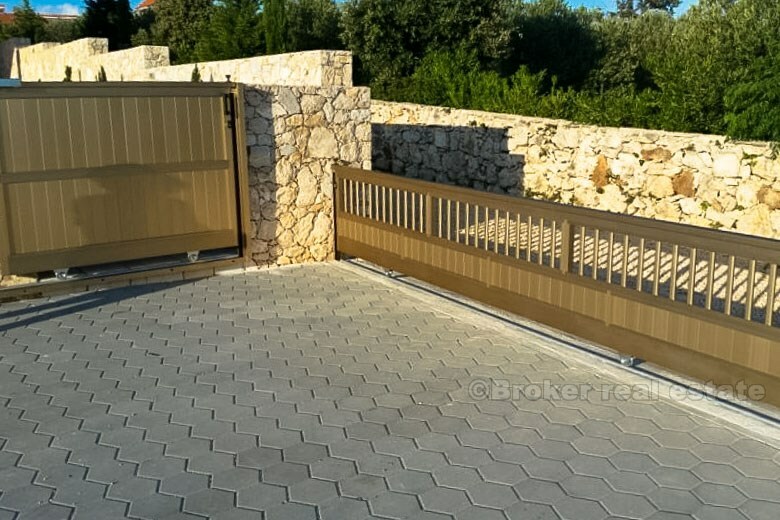 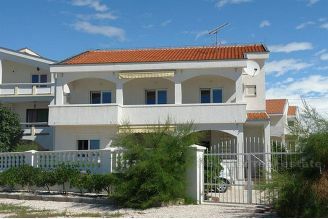 Luxury villa on island Vir in city Zadar Area, seafront, 200 m2, new building. 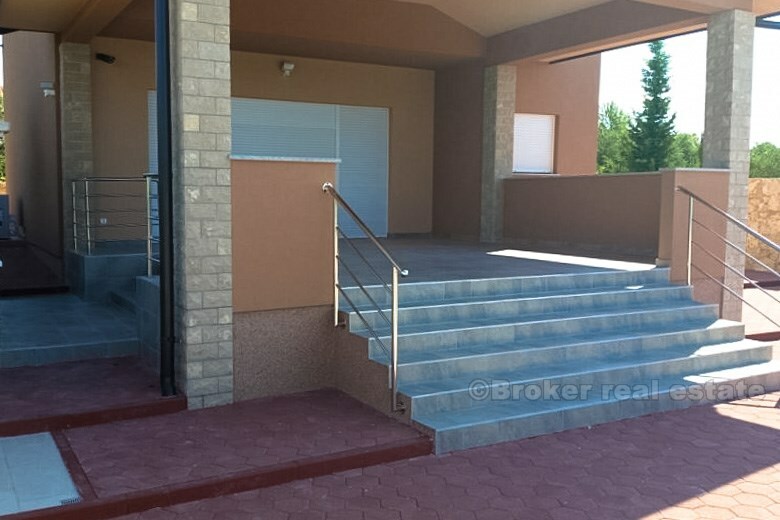 The building has two floors. 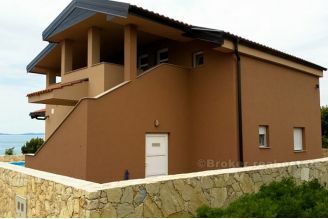 The ground floor comprises: entrance, kitchen, living room, bedroom and bathroom. Floor comprises: two bedrooms that each has its own bathroom and terrace. 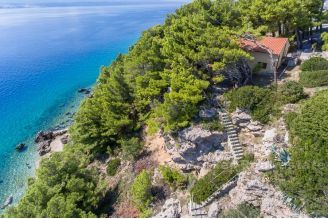 The villa has a courtyard with parking (5 parking spaces), storage room, terrace with fireplace of 40 m2, swimming pool of 38 m2 and the engine room, ceiling heating and cooling, video surveillance that can be traced through mobile phones and laptops, all surrounded by a rustic stone wall .